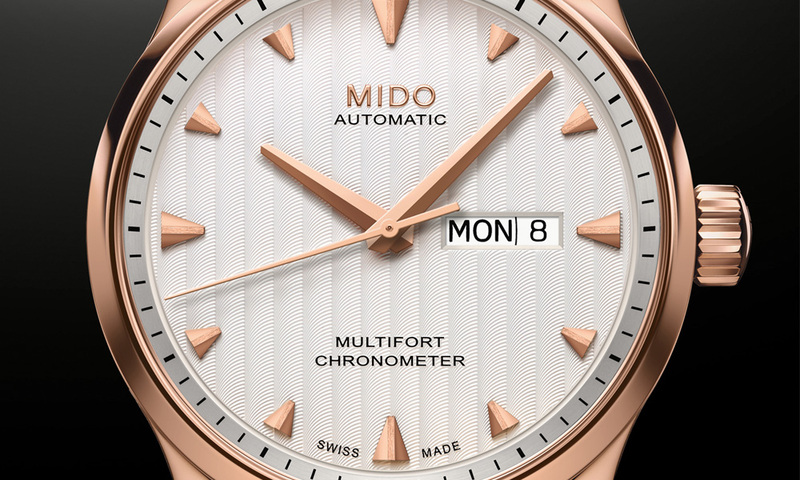 Mido has announced that it will be introducing the Multifort Caliber 80 Chronometer, a new addition to its collection that is inspired by the Sydney Harbour Bridge. 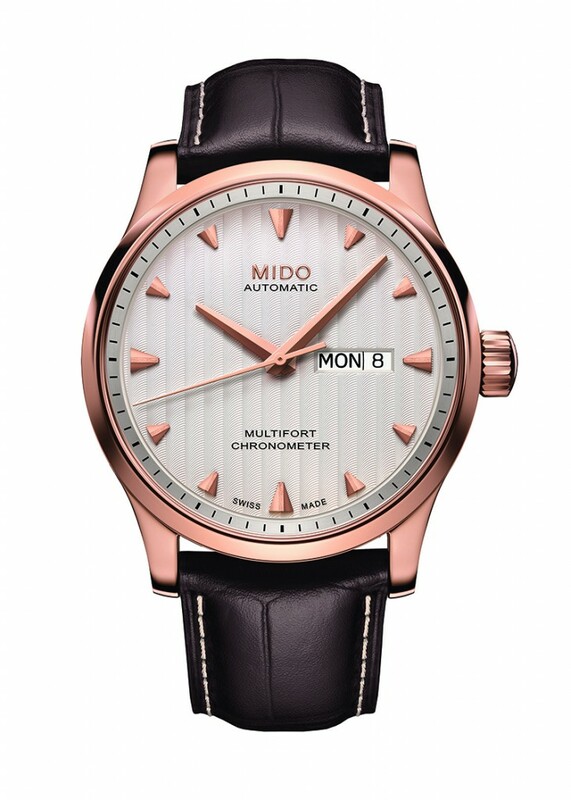 The 42 mm case is presented in stainless steel with rose PVD treatment and houses an automatic Mido Caliber 80 movement. 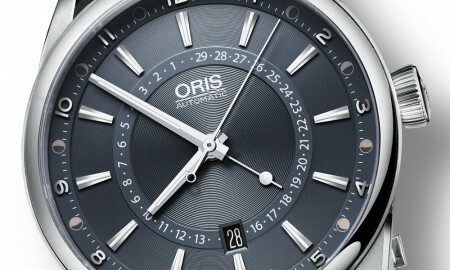 Based on an ETA C07.621 mechanism, it achieves a minimum power reserve of approximately 80 hours. Officially certified by the Swiss Official Chronometer Testing Institute (COSC), it boasts hours, minutes and seconds functions. Additionally, a day and date display is on offer at the 3 o’clock position. 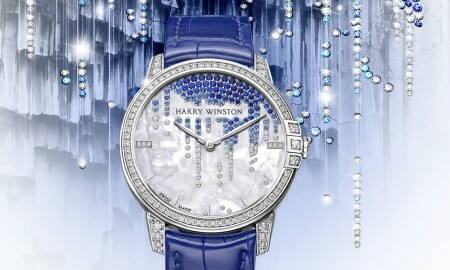 The watches silver dial with vertical Geneva stripes is complemented by faceted indexes that are individually applied and housed within a sapphire crystal display with anti-reflective treatment. Its caseback is transparent and allows the wearer to view the inner workings of the movement and its oscillating weight with Geneva stripes and engraved Mido logo. Each piece is supplied on a brown calf leather strap with crocodile pattern and stainless steel folding clasp that is complete with rose PVD treatment. 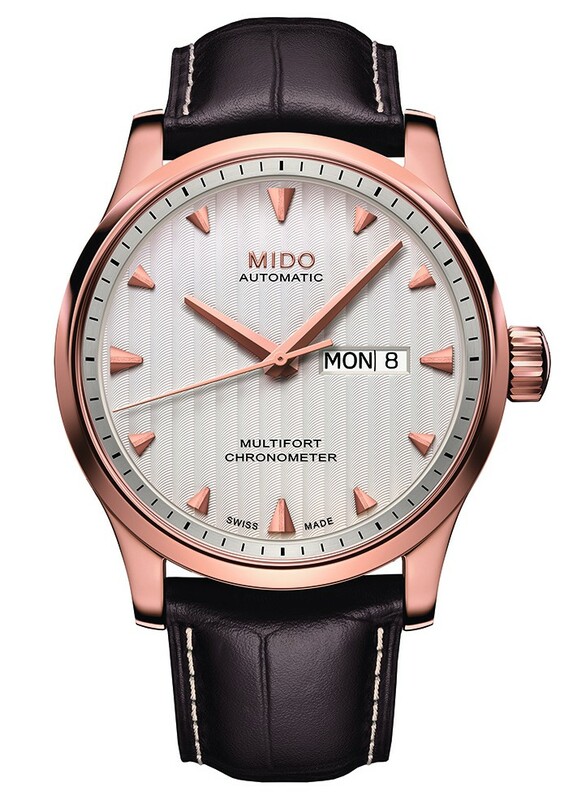 The Mido Multifort Caliber 80 Chronometer is water resistant up to a pressure of 10 bar – the equivalent of 100 meters or 330 feet.